Love looking and reading! The apron and hanging the clothes on the line brought back so many memories. Both of my grandmoers wore aprons every single day. Learned what a Marionberry was! Thank you for that! I will be back. What a joy to see all the pretty lovelies in your shop.. Thank you for sharing ... It was lovely to see and inspirational as well.. Again, Thank you. Debbi, you are incredibly talented and creative, and I LOVE your cottage garden! Your website and all your handmade items are very beautiful. You are very inspiring! Debbi, I wanted to thank you for my order. Everything was beautiful as always. The Valentine's pillow was just what I needed. Thank you so much. Deb makes the most beautiful pillows not only for my home but for my friends and family they are so unique and just gorgeous. I am always ask where did u get that pillow! I say a talented lady at marionberry cottage the most Beautiful pillows you will ever fine anywhere. Thanks Deb Big HUGS! Just love your your website. Lovely things to make your home special. Thank You. Well, how dumb do I feel! I though your name was Marionberry! Too funny. I love your products! My luck, everything I wanted to order was out of stock. Do you replenish or once an item is gone it's gone. I have bookmarked your page so I have easy access to it and now that I know your name is Deb. Love your garden also! If you're ever in Mpls., feel free to stop by and give me inspiration. Thanks for the great products! Wow, have a wonderful time in Hawaii. I will try not to be too jealous! Your work and garden are beautiful!!! First time to your site, and I love it. I will be back after Christmas when I can buy gifts for myself. Thank you for your work. I received your package a few days ago, but have been so busy, that I just opened your box this morning. WOW!! Yet another package of phenomenal one-of-a-kind creations!! (And thank you for your little note to "open carefully." I took my time and gingerly cut through the tape.) Pleased to report no fatalities! As I unwrapped each pillow, I was just mesmerized by the over-the-top lace, fancy pins, and of course, the main image, with added glitter, no less! You truly do outstanding work! I so admire your talent, especially since sewing for me is just not my cup of tea. Ever since I limped my way through high school Home Ec where we had to sew an outfit, (and I chose a pattern for a waist length jacket complete with a front and back yoke and cuffs in a different material along with an elastic matching skirt) - which, by the way, I never ever EVEN wanted to wear since I was SO sick of working on it - I am just blown away by artisans as yourself, who have an eye for beauty and then who can actually create something of their own unique design. Simply outstanding!! And that lovely fragrance is just DIVINE!! Thank you for the little potpourri bundles too! I am just so very pleased with everything! I absolutely love your site. Your pillows are beautiful. I Love the new kindle/iPad cases. Everything on your site is so beautiful. Debbi, thank you so much for inviting me to see your BEAUTIFUL items! Everything is gorgeous. I really enjoyed viewing all the items on your web page and really liked the Guest Bath and Tea towels, would like to see more lavender in them. Thank you. Love your purses and pillows, mothers day is around the corner see some great gift ideas. It is quite hard to choose just one item of yours to like the most. They are all so soft, feminine, romantic. *sigh* But if I must choose something, I'll choose the pink pillow that came in my email today. It has Love Song at the top and a beautiful lady in a lovely hat. I would LoVe to own that! Thank you for having such a lovely site to peruse. I love all of your things but I seem to always look at the pillows and towels first. And I love pink and green together. I love your Valentines pillows!! All of your pillows are perfectly made. I know because I have 2 of them. I got them for gifts and couldn't bring myself to part with them. I LOVE the purses you make - I would someday like to own one! Thanks for having a giveaway! 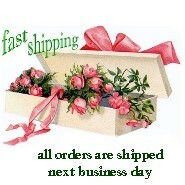 Hi Debbi, your site is just beautiful and I have ordered many things from you. I especially love the handbags and purses and also, the guest bath and tea towels. Have you ever thought about making some lovely, lacey ladies vests? Thank you! what beautiful things you make, and your garden, very talented. Love, love, love all your pretties! You do such beautiful work. I'll be shopping soon! You make such beautiful things, they're very compelling, so many types of fabric! I love your purses the most. Always want to see more of those. I like your facebook page! Debbie, I love all of the items you make but especially the purse/bags made with doilies and lace. Hi Debbi, Received your package yesterday - everything is absolutely beautiful! On the smaller pillow, I was pleasantly surprised to see that the little boy is holding a kitty cat! (I didn't see that on-line.) And the children's faces are so sweet! Love the fabric on the larger pillow, and the detail is gorgeous! The towel coordinates perfectly with my downstairs bathroom - a very lovely addition! Also, thank you for including the adorable gift tags. (I am definitely keeping them for myself!) And the scent on the potpourri is just heavenly - wish I could have an endless supply of that fragrance wafting all through the house! Well, just wanted you to know how much I appreciate your beautiful creations - simply exquisite! Hi, Debbi. I just discovered your site and I love it! You are so talented and creative and it shows in all of your designs. I will definitely be back to visit and hopefully buy something soon. Thanks for letting me visit! And you have sweet grandchildren and lovely gardens!! Dear Debbi, Received my more than beautiful Christmas stocking & ornaments. Bless you how thoughtful for the bling for the tree perfect color. So happy I found your site, what a talent. Lovin your Website. I am a retired designer and having so much fun looking at such beautiful things. Thank you for sharing, Merry Christmas & Happy New Year. Hi Debbi, I just received my XMAS YoYo Pillow which is gorgeous. I love everything I have bought from you. The victorian ladies and Paris pillows plus your beautiful towels. Everything you make is so beautiful. I wish I was as creative as you. I'm on the hunt for that special BoHo bag dripping in lace. Hi Debbi, I received my Christmas stocking today, and it is just beautiful. I have ordered from you before, I just love your purses. The items that I have bought are made really well. I wish that I had your talent. God has really blessed you. Happy New Year! Your items are all so beautiful. Thanks for letting me take a peek! A friend just told me about your site today. She thought it was my style. YUP I LOVE it! Will definitely be back! I happened to stumble upon your BEAUTIFUL site and so glad I did I own The Emerald Forest Antiques in Jackson Ca Everything is so beautifully done and the pricing is very good Loved the Apron story oh how true that is From one business person to another Kudos to you!! !And of course I placed an order! Hello, your site brings such joy to my heart, and smiles on my face. It's like looking into my soul, so peaceful and with so much grace. Wish I had the able to do what you do. Have the ideals but not the gift God has given you. Love everything I have bought over the years, especially my purses! I need MORE!! Please do the cool color and pattern combos as before! I would like to see more pink/black, turquoise, chartreuse/red.... Thanks!! I love your taste and your creations. I'm thrilled to feature you in the summer issue of my magazine, Crazy Quilt Gatherings. I just wanted to let you know that I have received my order. It is beautiful and has already found it's new home. Thank you so much! Hi Debbi, I have a pink bag from two years ago and will use it again this spring.I love to view your Web site and see that everything is beautifully made. Thank you for making the world a lot prettier! Lovely lovely everything. So nice to see your beautiful things. What a lovely website! I will be following!